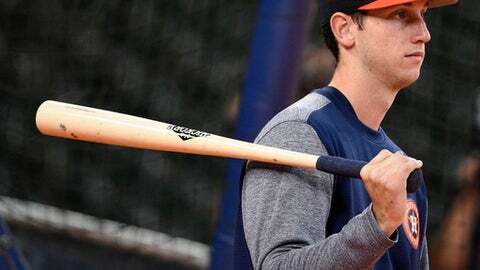 HOUSTON (AP) The Houston Astros have called up top prospect Kyle Tucker from Triple-A Fresno. Houston manager AJ Hinch says ”our team got better by adding him to the mix” and he plans to play Tucker every day, in left field or right field. Hinch says as the season gets into its latter stages the team needs to see what Tucker can do after his strong showing in both spring ball and the minor leagues.